Spektrix is a rapidly growing collection of arts managers, marketing types and computer geeks whose mission is to helps arts organisations be more successful. We’re doing this through a combination of cloud-based software and customer support, which is changing the way that arts venues sell tickets and manage their audience relationships. We’re looking for someone who is excited by the chance to change the way that people in the arts use software – for the better. Yes, there’s always a bit of technical stuff to sort out but we’ve built a reputation for helping people get the most out of our system by helping them to analyse their data, advising on marketing strategies and anything else that our customers find useful. Working with your colleagues in the Support Team, you will act as a main contact with customers for their training and support needs, ensuring that the highest levels of customer service and satisfaction are delivered. We love our system and we want our users to love it too, so as a Support and Training Consultant your job is to get them there and keep them there by problem solving, sideways thinking and generally being smart, engaged and innovative. We’re looking for an analytical thinker with excellent interpersonal and communication skills which can be displayed in person, over the phone, and in writing. Proven experience of working in or with the UK Arts Sector is a real asset to this role, as we’re looking for someone with the ability to apply these existing skills and knowledge to solve new and complex problems for our clients at Spektrix. 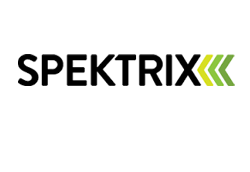 Spektrix is an Equal Opportunites Employer and welcomes applications from all sections of the community.